A really special compliment to our Luca Nichetto show is a limited edition of 10 “Doc” cars made only for our exhibition. 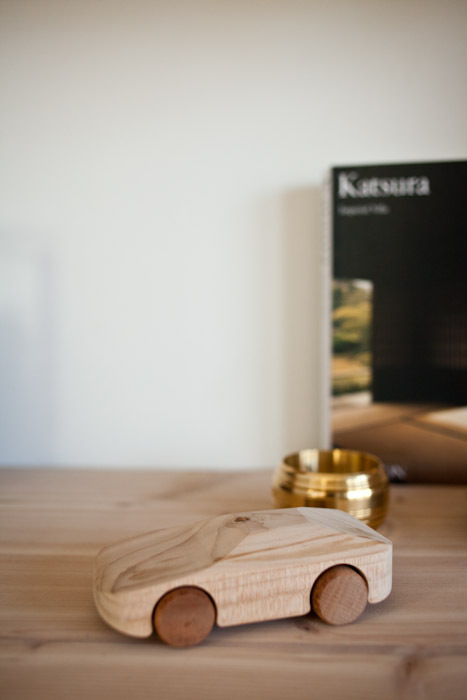 Wood toy cars take us back to our childhood, the age of lightheartedness and pure joy. Why not create a wood toy car that is also a time machine? This is the question where Doc comes from. Doc is a miniature reproduction of a DeLorean, famous for being the vehicle Marty McFly drives in “Back to the Future”, the car that makes him travel in time. 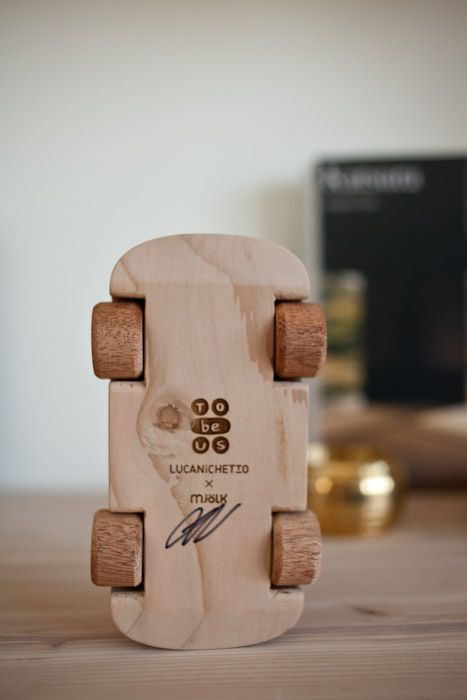 Each car is hand-signed by Luca, and only available through this exhibition. If you would like to get your hands on one, please send us an email. This special collector’s edition is $120CAD each and is available in store and online. Visit TobeUs for more details! Currently on display until February 9 at the Design Exchange is 100% TOBEUS: 100 DESIGNERS FOR 100 NEW TOY CARS. TobeUs was born as a vent of a designer who became a father and could not stand the sight of his own children using toys for just a few hours and then destroying them or stopping looking at them. 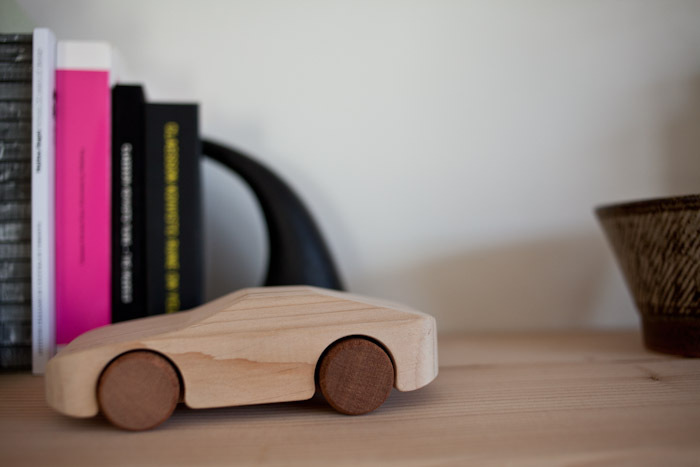 This is how the idea of TobeUs was born: toy cars made of wood, strong and sweet-scented, beautiful and clever because they are planned by skillful and passionate designers. 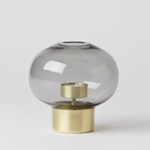 TobeUs has become synonymous with a way of design and the creation of new objects, attracting designers who want to design their own TobeUs. 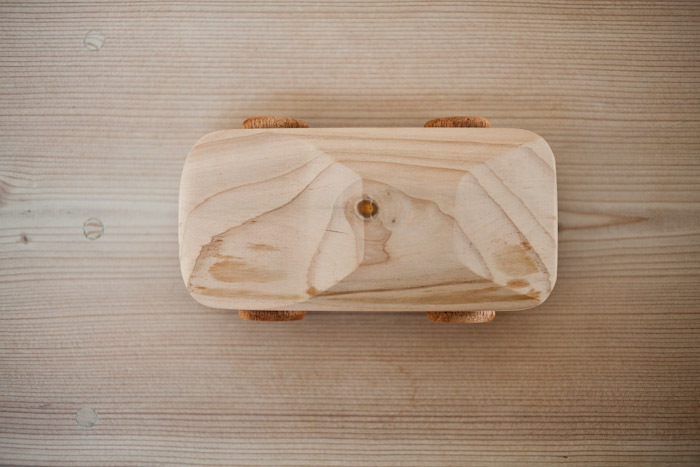 It seems that everyone has an idea for a wooden toy car in their drawer. Be careful, though, TobeUs is made by two cuts in a wooden stump that always has the same size. It is a project exercise that imposes clear limitations. Matteo Ragni has gathered the the projects of the great masters of Italian design and curated “100% TobeUs: 100 Designers for 100 New Toy Cars”. Following a successful run at the Museo della Scienzae della Tecnologia di Milano, the exhibit comes to Design Exchange to show the value of a different future. Featuring designs by Marcel Wanders, Mario Bellini, Fernando and Humberto Campana, Claesson Koivisto Rune, Matali Crasset, and many more.